Las Vegas is located in the center of Vegas Valley, a desert region of about 600 square miles, which is surrounded by the Sierra Nevada Mountains and the Spring Mountains. The seasons are hot, windy, and dry, with desert conditions and maximum temperatures of 100 degrees F during the summer; because of the mountains, however, summer nights are cool. Winters are mild. The mountains around Las Vegas reach elevations of over 10,000 feet, acting as barriers to moisture from the Pacific Ocean. Rainfall is minimal and there are about 216 clear days during the year. Snowfall is rare. Sure, you’ve heard that what happens in Vegas, stays in Vegas—and you’ll surely help put the “sin” in Sin City. But when you’re ready to jump off the bar and curb your gambling habit, plenty of fun awaits you: luxurious spas, quirky museums, lavish pools, and gut-busting buffets. If you’re a fan of gaming, Las Vegas surpassed fabulous long ago, and is now absolutely stellar. But what’s truly wonderful about this city is that it’s actually developed into an amazingly well-rounded destination. Today, Las Vegas is one of the most exciting dining cities in the world and the variety of dazzling, outlandish shows and super-exclusive nightclubs continues to increase. If the city hasn’t exactly become a major cultural hub, there’s still enough to see and do both on and off the Strip to keep you busy for days. Recreational options are endless and you and your family can find things to do everyday you plan to visit Las Vegas. Fun is just around the corner and waiting for you. Whether you want to ski, fish, camp, rock climb or cruise on your watercraft on a lazy warm afternoon, Las Vegas is an outdoor and recreation wonderland. If you are planning a vacation that includes exploring or experiencing the great outdoors, then Las Vegas is the perfect destination. There isn’t really an off-season in Las Vegas, but some people try to avoid the blistering summer months. You’re also wise to avoid holidays and spring break. One of the biggest annual periods (with prices to match) is NCAA Basketball’s Final Four weekend. Stars, lights and action! They are all part of the unique entertainment experience that is Las Vegas. Today, you can see the sinking of the Titanic at Bally’s Jubliee, a experience a dreamlike circus at Mystere, see Blue Man Group’s uniquely, colorful extravaganza and much more. Bette Midler, Cher, Barry Manilow, Donny & Marie Osmond and Cris Angel are all featured performers on the Las Vegas Strip. There are shows for every taste and every budget. On the famous Las Vegas Strip and off-the-Strip you can see national headliners, exclusive concerts, extravagant production shows, comedy hours, Broadway shows, and much more in the Entertainment Capital of the World. 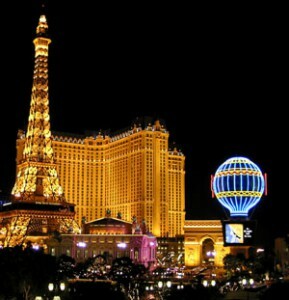 Las Vegas is home to some of the most exciting nightlife and shows in the world. Get ready to party like a rock star! Nightclubs, concerts, production shows and international headliners are all a part of the entertainment scene in Las Vegas. If you like classic rock, techno, popular music or country Las Vegas nightlife has a spot to “get your groove on”! Every hotel has a night spot. Filled with great ambience and the lastest music, you will have a heart-pumping evening wherever you are on the Las Vegas Strip. These exclusive and VIP filled nightclubs are the perfect place to celebrity watch. Guest DJs and beautiful people fill the nightclubs every night. Join them! Grand is an understatement. Glorious, exalted, divinely inspired — all are more apropos adjectives to describe THE canyon. One glimpse of its majesty is all it takes to understand why the Grand Canyon is considered one of the natural wonders of the world. 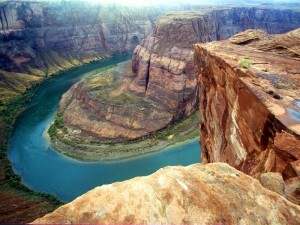 The canyon is a staggering 277 miles long. 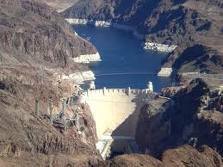 At its deepest, it is about a mile from the rim to the Colorado River far below and it is as much as 18 miles wide in some spots. The park encompasses 1,904 square miles and visibility on a good day can reach up to 100 miles. The beauty and vibrant colors of the rocks, the mighty river flowing through the center and the wide variety of plant and animal life that inhabit the canyon combine to make it a spot that 5 million people from around the world visit each year. The Colorado River float trip may offer a few splashes but no rushing white water. This is a relaxing 11-mile float trip in crafts that have been approved by the Coast Guard and National Park Service. (42 passenger rafts). Each raft has qualified, trained pilots and tour guides who are interested in making sure you have a safe and great time! A Las Vegas destination wedding can offer alot for you and, if you choose to bring them along for the fun, your guests. You can choose a drive-thru wedding, an Elvis wedding, a chapel wedding, casino wedding, or a wedding away from the Strip, in the desert surrounding Las Vegas, or at Lake Mead. Las Vegas is by far the most popular destination-wedding spot in the United States (and perhaps the world), with an estimated 120,000 weddings held there every year. While there are many elegant spots to say your vows in Las Vegas, it’s also the perfect place for couples who want to get married in a quick and different (or unusual) way.